. Dr. Su has devoted more than ten years in the field of cancer research. She has been studying the molecular mechanisms of cancer development in hepatocellular carcinoma and breast cancer for year. 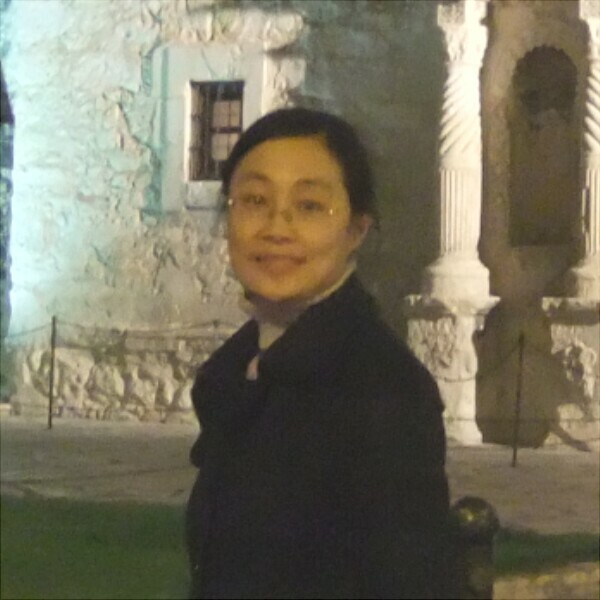 Dr. Su has a broad background in molecular biology and cancer biology, with specific expertise in the areas of stress response and non-coding RNA. Her recent research focuses on translational studies, which use chemo- and radio-protectorsto prevent normal tissue damage during cancer therapy. 3. Su H, Xu T, Ganapathy S, Shadfan M, Long M, Huang T HM, Thompson I, Yuan ZM. Elevated snoRNA biogenesis is essential in breast cancer. Oncogene. 2013 Apr. 4. Ganapathy S, Xiao S, Seo SJ, Lall R, Yang M, Xu T, Su H, Shadfan M, Ha CS, Yuan ZM.Low-dose arsenic induces chemotherapy protection via p53/NF-κB-mediated metabolic regulation. Oncogene. 2013 Mar. 5. Xu T, Su H, Ganapathy S, Yuan ZM. Modulation of Autophagic Activity by Extracellular pH, Autophagy.2011 Nov;7(11):1316-22. 6. Su H, Yang JR, Xu T, Huang J, Xu L, Yuan YF, and Zhuang SM. MicroRNA-101, Down-regulated in Hepatocellular Carcinoma, Promotes Apoptosis and Suppresses Tumorigenicity, Cancer Res. 2009 Feb 1; 69(3):1135-42. 7. Xu T, Zhu Y, Wei QK, Yuan Y, Zhou F, Ge YY, Yang JR, Su H, Zhuang SM. A Functional Polymorphism in the MiR-146a Gene Is Associated with the Risk for Hepatocellular Carcinoma, Carcinogenesis. 2008 Nov; 29(11):2126-31. 8. Su H, Zhao J, Xiong Y, Xu T, Zhou F, Yuan Y, Zhang Y, Zhuang SM. Large-scale Analysis of the Genetic and Epigenetic Alterations in Hepatocellular Carcinoma from Southeast China, Mutat Res. 2008 May 10; 641(1-2):27-35.